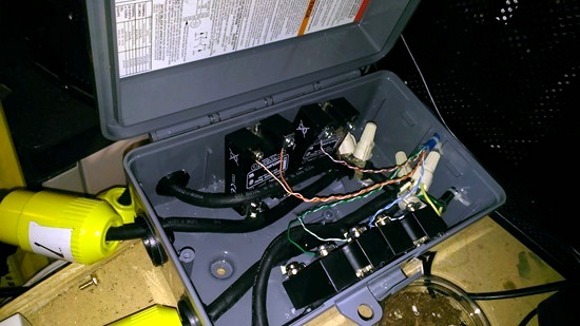 [Johannes] has been reading Hackaday for years but this is the first project he’s tipped us off about. It’s a laser engraver built from a DVD burner diode (translated). It turned out so well we wonder what other projects he’s forgotten to tip us off about? This is the second CNC machine he’s seen through from start to finish. It improves upon the knowledge he acquired when building his CNC mill. The frame is built from pine but also uses bits of plywood and MDF. It can move on the X and Y axes, using drawer sliders as bearings. The pair of blue stepper motors drive the threaded rods which move the platform and the laser mount. Just above the laser he included a small DC fan to keep it from burning up. The control circuitry is made up of an Arduino Nano and a stepper motor driver board. Catch a glimpse of the engraver cutting out some stencil material after the break. There must be something about Spring that brings out the urge to work with laser diodes. We just saw a similar 1W cutter last week. When we first started hearing about software-defined radio hacks (which often use USB dongles that ring it at under $20) we didn’t fully grasp the scope of that flexibility. But now we’ve seen several real-life examples that drive the concept home. For instance, did you know that SDR can be used to track ships? Ships large and small are required by may countries to use an Automatic Identification System (AIS) transponder. The protocol was originally developed to prevent collisions on large ships, but when the cost of the hardware became affordable the system was also brought to smaller vessels. [Carl] wrote in to share his project (which is linked above). Just like the police scanner project from April this makes use of RTL-SDR in the form of a TV tuner dongle. He uses the SDRSharp software along with a Yagi-UDA. The captured data is then decoded and plotted on a map using ShipPlotter. Several people have sent us this story. I’ve seen it everywhere. A lot of people are upset, on several sides. 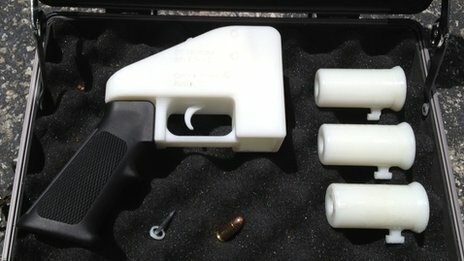 A gun has been 3d printed that can actually fire a round. First, we have people scared that this will bring undetectable guns to people who wouldn’t have had access before. Then we have the gun fans that are reacting to the others with shouts of freedom and liberty and stuff. The 3d printing community has had mixed reactions, but many are concerned that this will harm 3d printing in general.